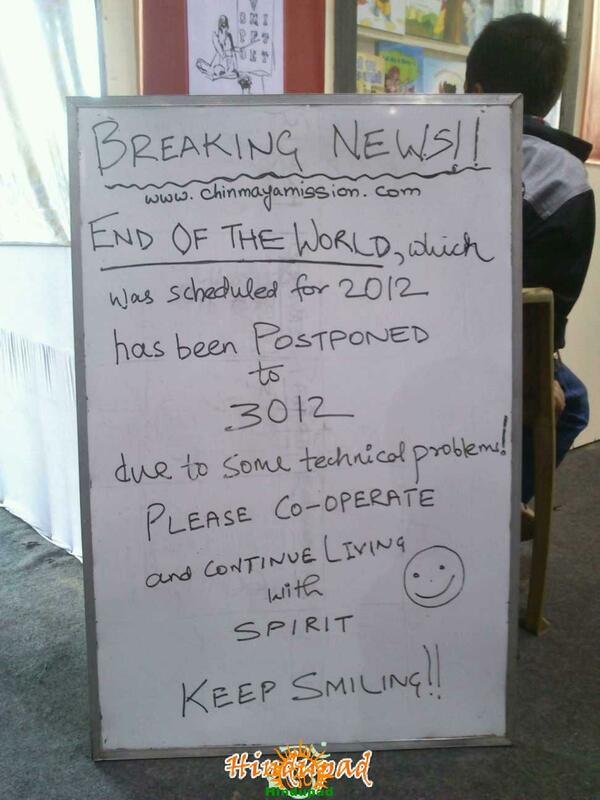 Breaking News: End of the World, which was scheduled for 2012 has been postponed to 3012 due to some technical problems. Please co-operate and continue living with spirit. Keep Smiling.. It is a storyboard appeared at a book fair as per the source.